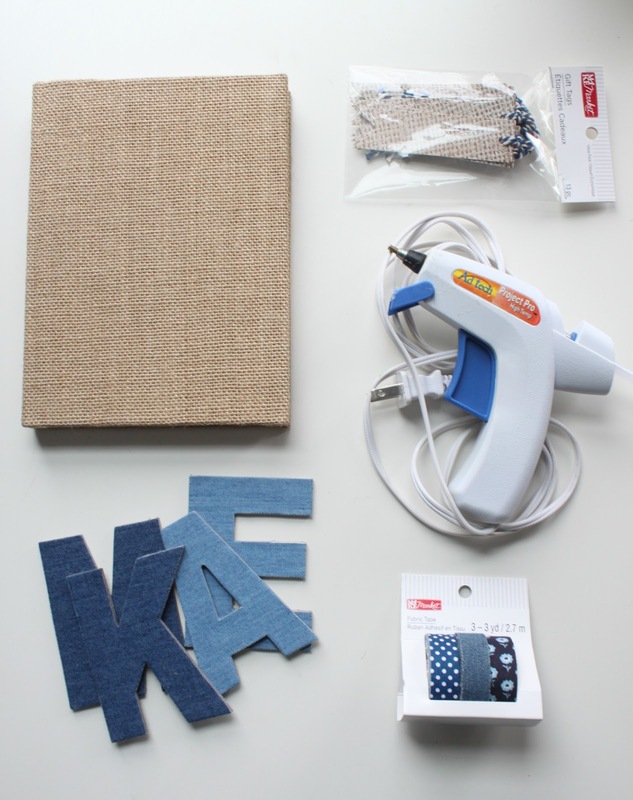 Denim is becoming one of the newest and hottest crafting trends of 2015. Typically when I think about denim, it's for use in clothing only, or maybe as a fun accent like in my simple serged hand warmers project that I posted last week. When Michael's told us that this month's project challenge was going to be denim, my mind immediately went to clothing. I packed up the kids and headed out to gather supplies for what I was sure would be a clothing-related post - right up my alley! When I got there, I quickly realized that 1. denim is wayyy more versatile than I thought and 2. my project was definitely not going to be one involving clothing with all the cool options out there! 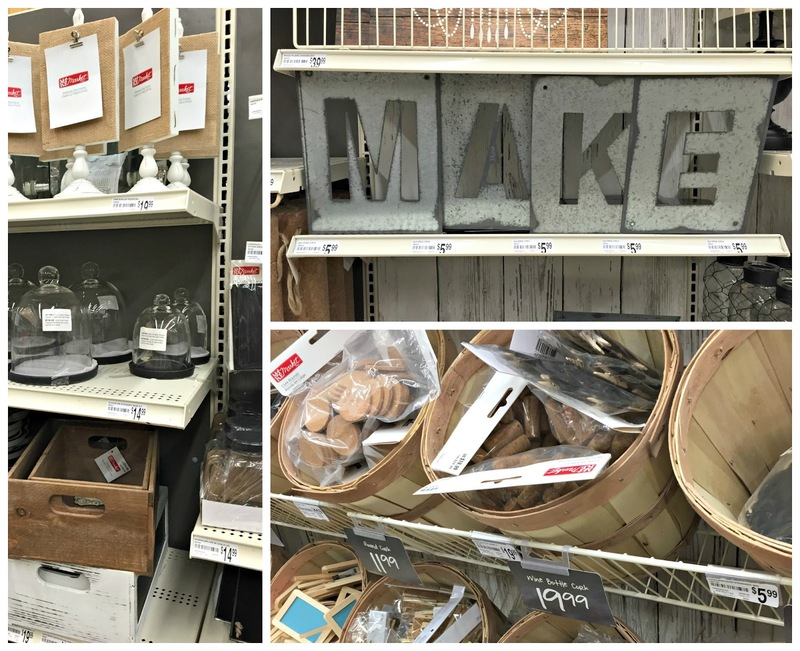 Michaels has a whole new product line called Make Market for DIY project and home décor ideas – all made with simple, on-trend surfaces and textures like chalk, denim, galvanized, burlap and cork. I had a great time browsing the aisles and looking at all the fun things I wanted to buy. And when I got to the denim, you can see why I wouldn't be making any clothing! They had more things than I thought could be done with denim: denim canvases, denim covered plates, denim dyes and paints...but no denim yardage. I was a bit out of my comfort zone since I originally assumed I'd be making clothing, then I stumbled upon the cute denim letters in the picture above. 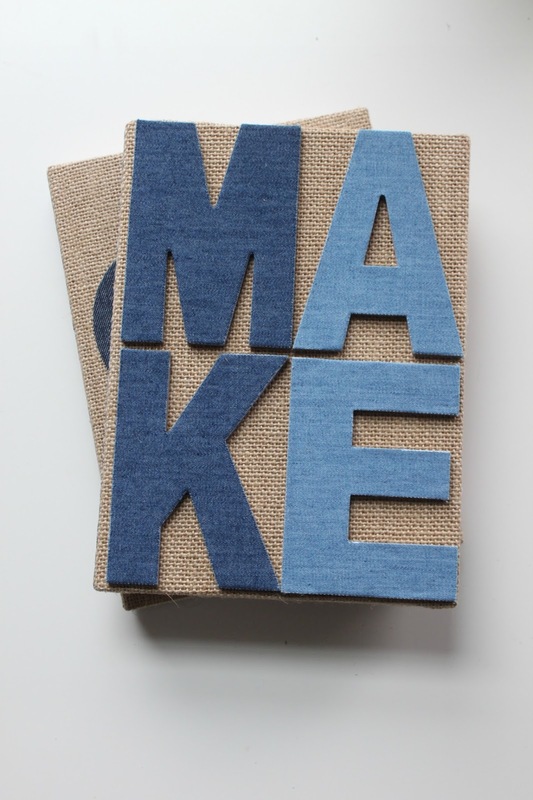 My mind immediately flashed back to the burlap-covered journals I had just seen in the Make Market aisle, and I knew exactly what to make - denim journals! 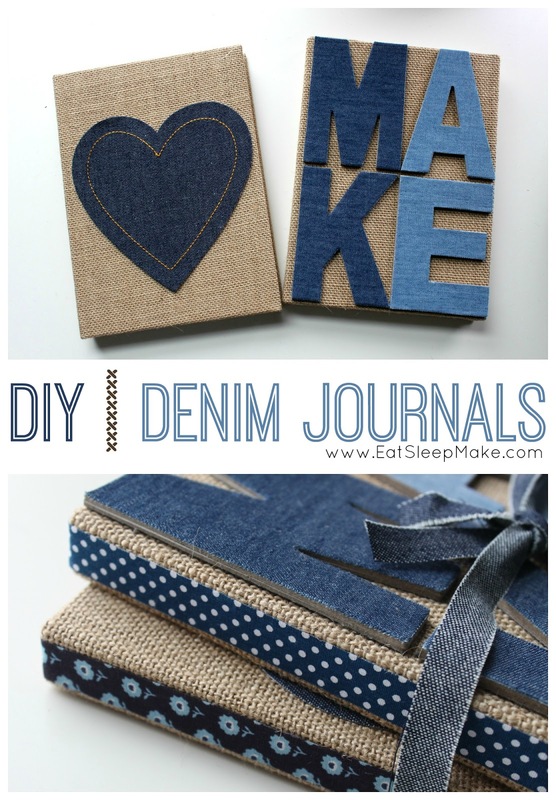 And wouldn't you know, those cute little denim letters are the perfect size for the journal covers. It was denim destiny I tell you. Since I always seem to come up with craft ideas at the weirdest times, these little personalized inspiration journals are a handy way for me to jot down crafting ideas when they hit. While I made mine to be used as crafting journals, they could be used for anything really! Sketching, journaling, diaries, sticker collecting...whatever your thing is! Ready for the easiest project ever? 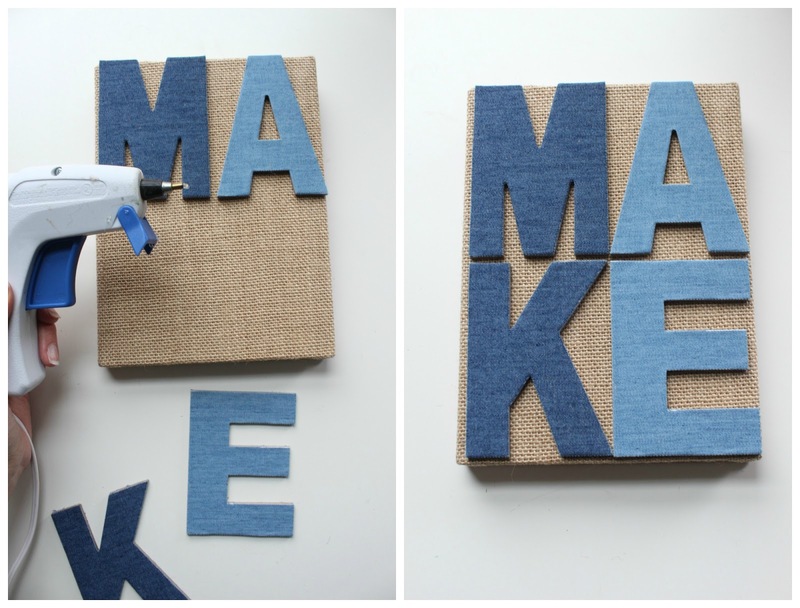 First, use your glue gun to glue your letters onto the front of your burlap journal and let dry. 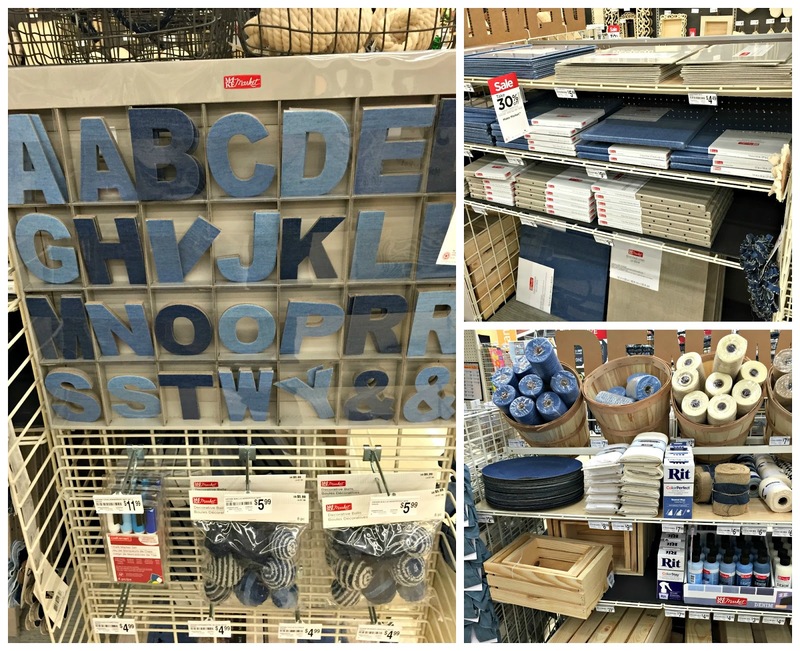 If you'd rather use something else other than the letters, Michael's also has cute denim shapes that you could use. 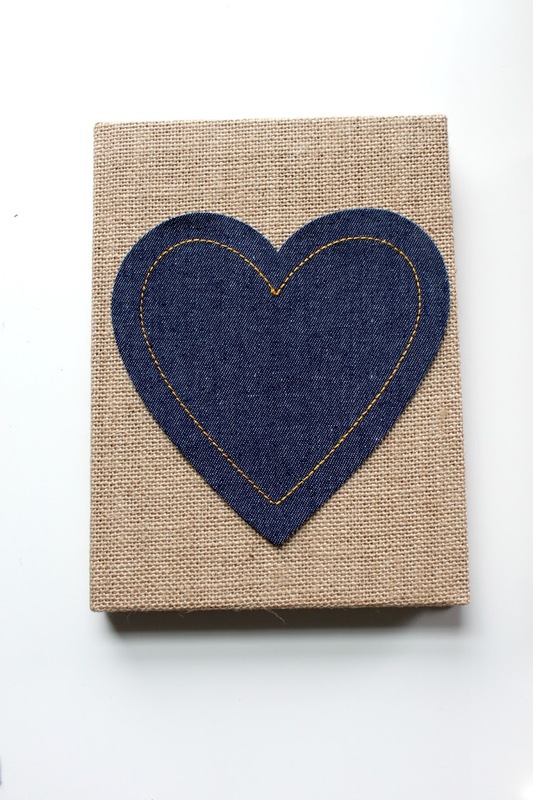 I made this journal above for my daughter to draw in, so I went with the denim heart shapes found in the Make Market aisle. 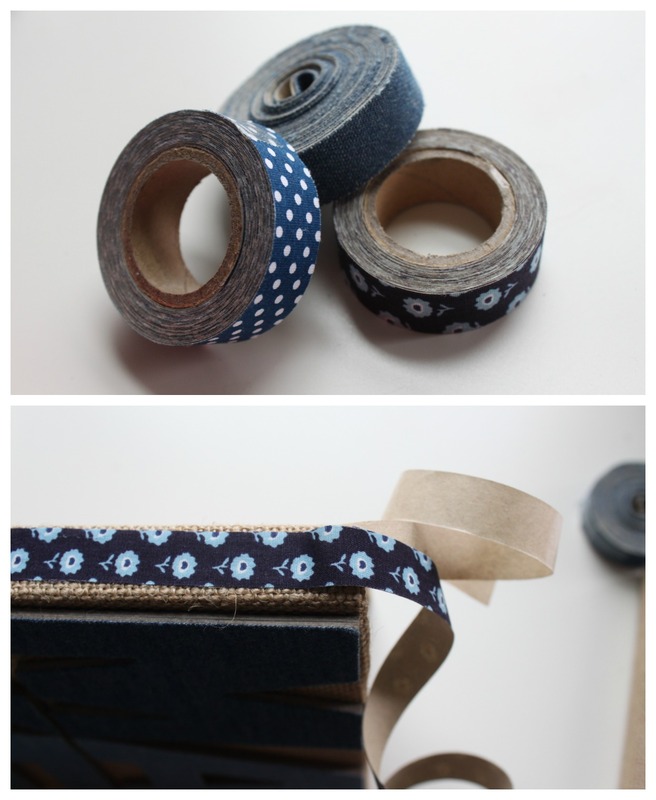 After adding your lettering or shapes, take the super awesome denim tape and attach it along the binding of your journal, then trim excess. And that's it! Simplest, fastest project ever. And sometimes those are the best kind. I love that I have a personalized journal to add inspiration ideas and photos to wherever I go. I can just slip it in my purse or keep it in my car to write in whenever inspiration hits. I also grabbed some of these adorable burlap patterned gift tags to use as a bookmark. Now onto some super secret-y stuff! Michaels Makers readers are getting the inside scoop on an upcoming craft contest that will send one lucky participant on the trip of a lifetime to Paris. Paris, people!! Be sure to check back here March 2 to get all the details on how to enter to win the trip of a lifetime!